COLUMBUS, Ohio -- Police shot and killed a man who stormed into a central Ohio restaurant wielding a machete and randomly attacking people as they sat unsuspectingly at their dinner tables, authorities said. Did machete-wielding Ohio suspect have radical connections? 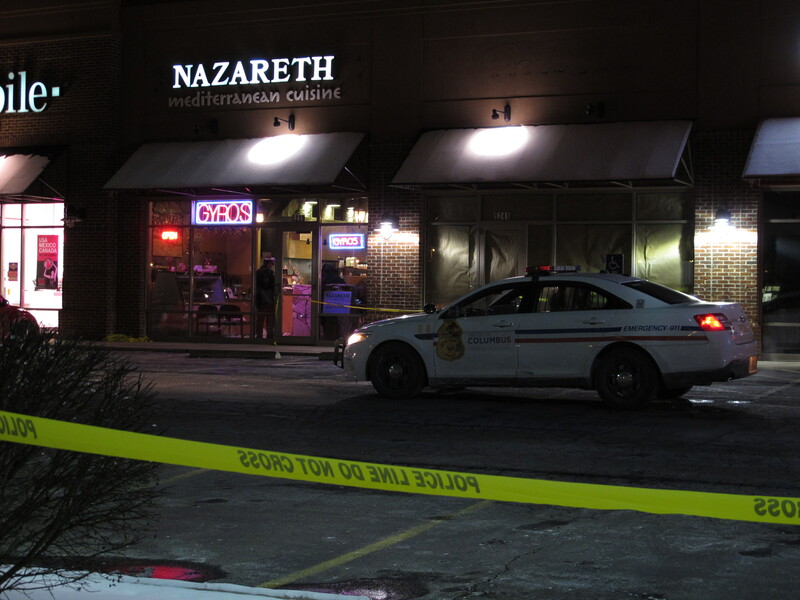 Four people were injured in the brutal attack Thursday evening at Nazareth Restaurant and Deli, a Mediterranean restaurant in Columbus. The victims were taken to an area hospital and were expected to recover. Police identified the suspected attacker as Mohamed Barry, 30. CBS News homeland security correspondent Jeff Pegues reports that investigators were running down leads to try to determine if the attack was somehow tied to terrorist organizations. "There was no rhyme or reason as to who he was going after," said Columbus police Sgt. Rich Weiner. Police said the man walked into the restaurant, had a conversation with an employee and then left. He returned about a half hour later. That's when police said he approached a man and a woman who were sitting just inside the door at a booth and started the attack. Pegues reports the suspected attacker has a Somali background, and officials believe he may have traveled to Dubai in the United Arab Emirates in 2012. Pegues reports that law enforcement is concerned that this incident has the hallmarks of the type of so-called "lone wolf" terrorist attack that they have been working to stop. Police said employees and patrons tried to get the man to stop. "Some of the patrons there started throwing chairs at him just trying to get him out of there," Weiner said. The man eventually fled the scene in a white car and led police on a short chase. Officers forced the man off the road a few miles away and when he got out of his car police said they tried unsuccessfully to use a stun gun on him. Weiner said, "At that point he had a machete and another knife in his hand and he lunged across the hood at the officers." That's when police said an officer shot and killed the man. It remained unclear what sparked the attacks. "Right now there's nothing that leads us to believe that this is anything but a random attack," said Weiner. Police said four people were treated at Grant Medical Center. William Foley, 54, was in critical but stable condition. Gerald Russell and Debbie Russell, both 43, were in stable condition. Neil McMeekin, 43, was treated and released. Karen Bass, who told CBS affiliate WBNS-10TV that she had only been in the restaurant for about half an hour when the attack occurred, described a scene of chaos. "He came to each table and just started hitting them," she told WBNS. "There were tables and chairs overturned, there was a man on the floor bleeding, there was blood on the floor." "I fell like five times. My legs felt like jelly. I just thought he was going to come behind me and slash me up," she said, describing her frantic escape.